What are God’s intentions? This scene of Jacob wrestling with God is very confusing yet intriguing. The Bible and our lives often makes us wonder what God’s purposes are in the way He deals with us. 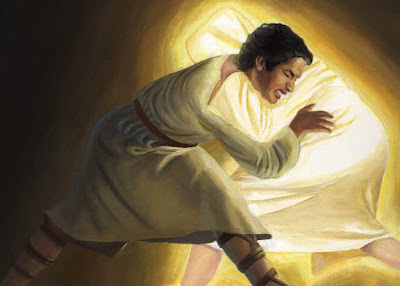 God could have simply made Jacob do whatever it was He wanted His servant to do. But as we keep seeing the Lord doesn’t operate that way. He wants us to willingly serve Him. What are God’s intentions with you? What is He trying to show you? Jesus wants you to grow up spiritually and in the knowledge of His Word. But He will not force you to do anything. Do you ever feel like you’re wrestling with God? How is that working for you? Do you willingly serve the Lord?